The red jewel on his sword and brooch distinguish Orson as a man possessed by Hyuri, a spirit of war and rage. Whenever his rage builds, such as when his companion Shiris is threatened, he becomes an utter terror, able to cut his sword thrugh rock with the energy his rage carries. Parn himself is shocked at the fury Orson possesses, and it is Shiris who ultimately calms him down. The sheer fury of the Berserkers is known to all, even the Dark Elves. It is the presence of Orson that forces Pirotess and the other Dark Elves to retreat and let Deedlit be. He and Shiris join Parn and the others, and he will be with King Kashue when they strike the dragon with the Holy Lances of Myree, bringing Fire Dragon Mountain down upon it. And later, even as Parn leaves to warn the other kingdoms, he sees the darkening sky and senses the danger. He and Shiris will follow that darkness and find Parn in terrible shape. 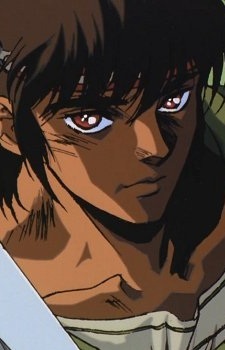 Orson is among the first to understand Parn's concern for Deedlit, so he suggests that while Parn heads for Marmo, he and Shiris would ride to call the other kingdoms of Lodoss to arms.